Is this a photograph of Harrison Ford, Carrie Fisher and Mark Hamill at the 1977 Star Wars premiere? “History in moments” and other accounts keep claiming so. This photo was actually taken at the Star Wars episode V, the Empire Strikes Back premiere in London, 1980 (by Harry Myers). Exhibit 2: Yahoo LifeStyle (archived photo). Original article with more photographs. 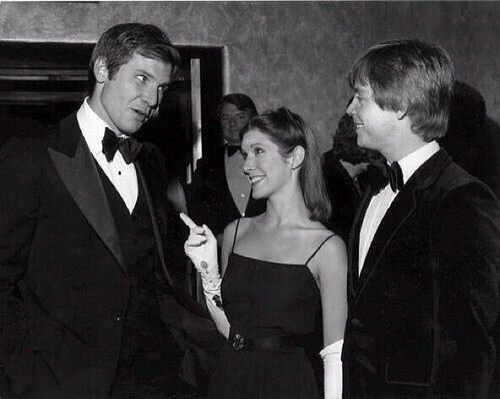 Also, I have not seen any photos of the three actors together at the Star Wars episode IV premiere in 1977.